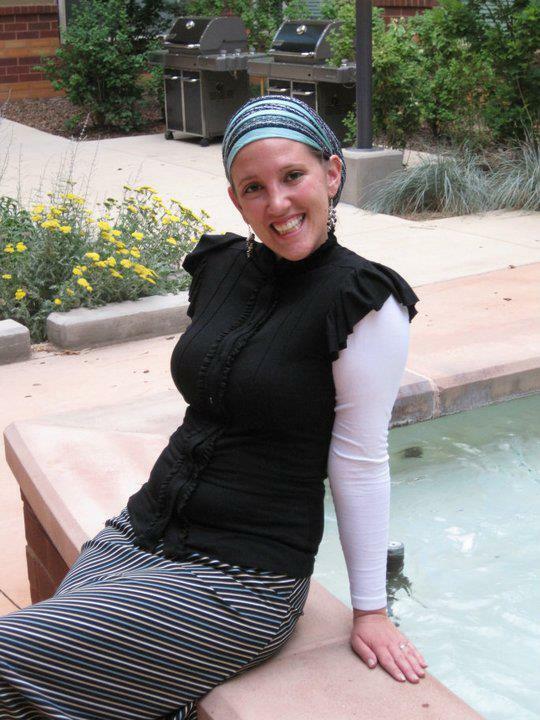 Meet Melissa, a woman with an infectious smile and well-thought-out Modern Orthodox Jewish perspective! After discovering her blog through a friend’s post, I knew that we had to have her on here as this week’s Lady Wrap Star. [drumroll]… here she is! Hi Melissa, can you tell us a little about yourself? Such as how to do you choose to spend your time, interests, family, where you live, how you describe yourself, etc.? Hi! I feel like there are so many possible answers, but I don’t want this to become the whole post. So the short answer is that I currently live in Jerusalem with my husband and am learning full time at Nishmat (and next year I will be joining my husband to learn at Pardes). I am a social worker by education, a Jewish communal professional by vocation, and a writer and educator by passion. My primary interests are women’s issues, halacha, and social media and my long term goal is to combine them – so stay tuned to see how that pans out over the years! You have a blog where you have written some of your thoughts on hair covering already. Could you share with us links to those articles? It’s all about the Hattitude! Honestly, I love that I get an extra accessory! Even better is that I get a spiritual and religiousness connection from putting it on. Ironically, the only thing I can say I truly dislike is both. I dislike feeling personally judged by communal norms and expectations about covering. There are often ideas of “if you cover like X than you must be Y” or “if you are A you must cover like B” – and I generally don’t fit any of those ideas, expectations, or boxes. How do you usually answer people when asked about why you cover? Now that I am living in Israel, it obviously doesn’t happen nearly as often so I’m having a hard time remembering how I used to address it! 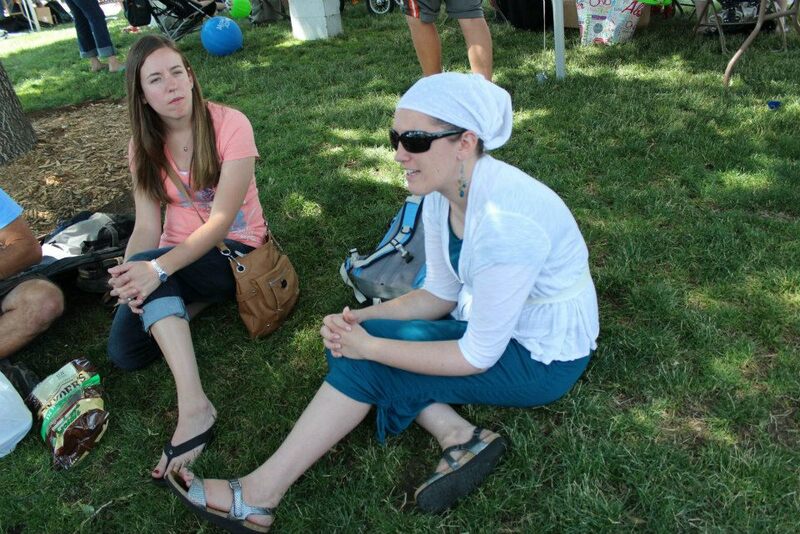 I do find that more often than not a simple “I cover my hair for religious reasons” tends to be enough to strangers, and to those looking for a more real answer, it can be catered to the moment and the person. When it is old friends who ask I answer very differently and more emotionally, while to people I am interacting with in a professional environment I am apt to keep it more simple and legalistic. As with anything, I like to be cognizant of where the other person is coming from and how I can make something which can seem so bizarre make sense in their world view. Have you feelings about covering changed over time? If yes, how so? On a personal level my feelings about the big picture have remained very stable, but there are small things which shift frequently like how much I am comfortable showing and what types of coverage work best for me. I’ve recently accepted that I don’t have to have just one model and its ok to interact with it differently on different days or in different settings – so now I anticipate even less changes. On a communal level, this is another area where being in the middle of Jerusalem after being in a community that was not so diverse has also been a really interesting experience. My understanding of the variety of ways in which women interact with hair covering has greatly expanded. What is your favourite way to cover your hair? Do you have preferred scarf/accessory type? What do you look for when selecting/shopping for scarves? I look for fun and interesting patterns, designs, and colors. Some of my favorite scarves were purchased from Target or other similar stores where they were clearly not intended to be headscarves! I also look for random things which can serve as accessories, like fabric belts, pretty ribbon, or fun hair-ties. I am of the mentality that head-covering inspiration is everywhere – you just have to look for it! What have you learned about hair covering in regards to your personal style, face shape, colouring, hair type, etc.? I look best with a bit of hair showing on my hairline, either my bangs out or tucked back but with a finger or two’s worth of my hairline exposed and have to put my scarves behind my hears because of my piercings. (I have six holes in my middle and upper ear.) I also have a lot of hair, but it is very fine, so I like to wear a wig grip and something to add volume, but what that is also depends on what sort of scarf style I am tying. I also don’t like having a lot of height on top of my head (I’m tall enough) or bulk to the sides (I’m pretty narrow), and I don’t like having tails hanging down (distracts me) – that means I often wind up with a lot of bulk on the back of my head. As for hats, I look best in the cloche style hat which sits close to the face. As much as I love big floppy hats, they just swallow me up! Can you share with us one of your happiest and/or most vidid hair covering memories? I have to share two, ok? I remember having a huge dilemma for my wedding. I had already been wearing wide headbands for months and couldn’t imagine not having some sort of head covering on my wedding day – despite people reminding me that it was my last chance to not cover my head. So, I knew I needed a veil for the ceremony, but I didn’t really want to wear a veil all night because it just wasn’t going to work with my style. Eventually, I decided to wear a birdcage veil and just folded it back on top of my head for the reception and got my wide headband look and veil in one, and it worked with my style! It was a total win-win. The other distinctive thing is a total Israeli thing. Here I have discovered that if I am wearing a knit beret or a hat, people tend to speak to me in English or give me an English menu, but if I am wearing a scarf I am approached more in Hebrew and always given Hebrew menus. One day, I told someone I didn’t understand what they were saying and they repeated it in Hebrew, and I again told them I did not understand, and the person yelled back at me “but I am speaking Hebrew!” to which I had to clarify that I don’t speak Hebrew well. So sometimes now when I want to just want to do my errands quickly, I intentionally wear a hat and don’t respond in Hebrew and get to play tourist a bit. You have a very interesting and informative blog that you and another woman have created. How did this blog come to be? How has it evolved and what are your hopes for it? As for my personal hopes, I have to say that they have all been vastly exceeded at this point. We wanted a fun outlet to share our thoughts and hoped we’d get a few readers, well we have many more than a few now and are constantly amazed and humbled by the community which has developed from it. I can only hope that I continue to have things to say which other people are interested in reading, and give a unique perspective which adds to the conversation. I do also hope to have a spin-off project (for lack of better vague description) in the future which has largely been inspired by the wonderful conversations and connections which Redefining Rebbetzin has provided. I am beyond grateful for the opportunity to live and learn in Israel for two years with my amazing husband. I also want to thank you, Andrea, for adding your blog to the communal conversation. We need more women who are willing to stand up for the beauty in covering and the meaningful ways to enhance this mitzvah. It is an honor to be included in your Wrapstar project amongst these other fabulous women! Great interview! Thank your for your insights Melissa! Totally enjoyed reading this post! =] All the pictures are wonderful, Melissa! This post is cool and I laughed often while reading it ! Thank you ! All the pictures are great ! Thank you, all! 🙂 It is really an honor and a pleasure to be featured! Interesting interview! You are really rocking those scarves! I enjoyed reading the interview!!!!!!! Melissa like always absolutely gorgeous!!!!! How nice! (@Melissa) I have come across your blog a few times and have enjoyed reading it. There are some lovely wraps in your pictures. Thanks again everyone! If you have any questions about anything in the photos posted, please let me know!